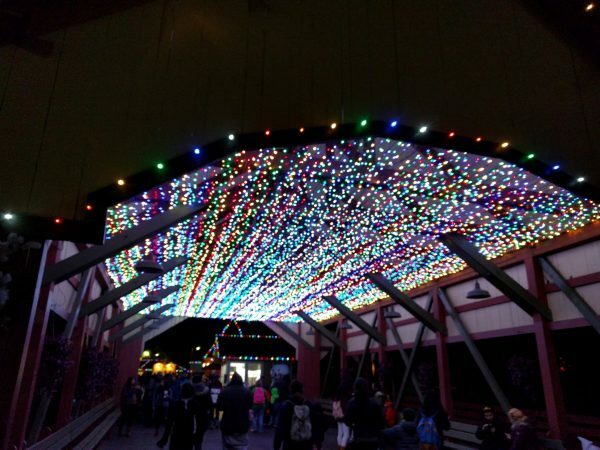 With Halloween season now squarely in our rear-view mirrors, amusement parks throughout the country are starting to jump into their holiday season festivities. From overlays to shows to food, West Coast parks are all growing their celebrations this year. 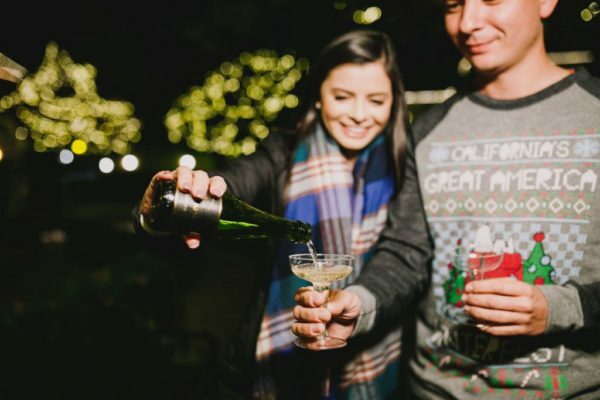 So, if you’re lucky enough to live out here in “year-round” country or you’ll find yourself in California for the holidays, here’s a recap of what you’ll find at amusement parks up and down the state. Disneyland and Disney California Adventure wasted no time going into holiday mode, starting their holiday season festivities back on November 9. 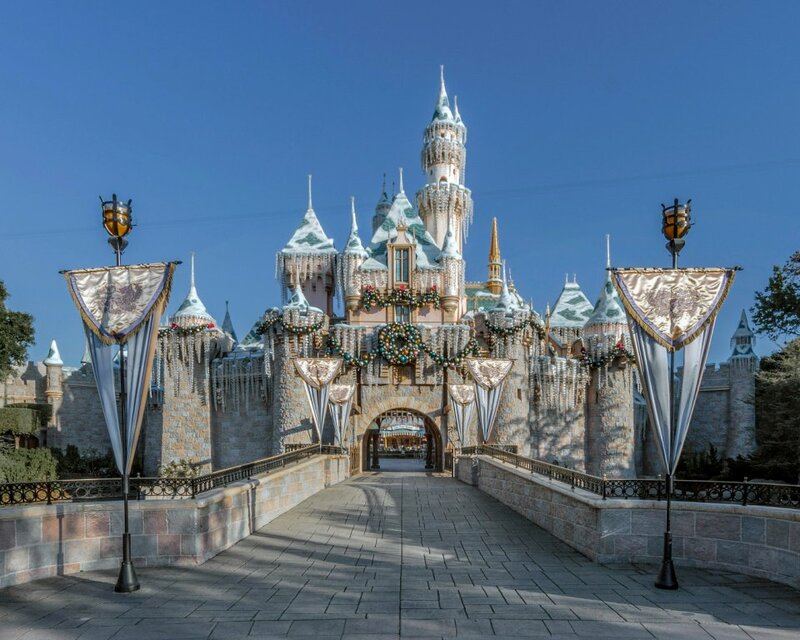 Holidays at the Disneyland Resort started Nov. 9, 2018 through Jan.6, 2019. On the California Adventure side of things, the park celebrates their “Disney Festival of Holidays,” including food and music from a wide range of cultures and celebrating a range of holidays. The highlight of the festival for me every year is the Festive Foods Marketplace, where stands are set up throughout the park with a huge range of delicious bites and drinks (both of the boozy and non-boozy kind). A full guide to the food festival can be found at the Disney Parks blog. Along with the food festival, the park also features the Tres Caballeros “Disney ¡Viva Navidad!” party, and a Frozen themed celebration called “Princess Elena’s Musical Grand Arrival”. Cars Land also gets a great set of overlays for the holidays, which tends to make for some of my favorite DCA photo ops. Lots of lights, dressed up Cars characters, and holiday overlays for “Luigis Joy to the Whirl” and “Mater’s Jingle Jamboree”. 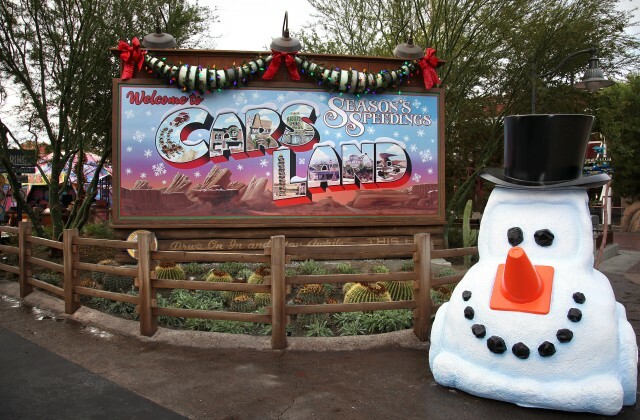 As always, Cars Land will be well decorated for the holidays. Over on the Disneyland side we get the annual Winter overlays like It’s A Small World Holiday and the Haunted Mansion Holiday (one of my annual favorites, thanks to my love of Nightmare Before Christmas). 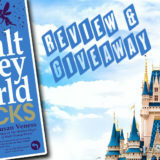 Sleeping Beauty’s Castle gets its icicles and twinkling lights, and the fireworks show turns into “Believe…in Holiday Magic”. A Christmas Fantasy parade comes to the park, and the 60 foot tall Christmas tree on Main Street will be lit with 3500 lights, 1500 Victorian inspired ornaments, and 100 faux candles. Holiday season at Disneyland is always one of my favorites, and if you go during the window right after Thanksgiving before people start getting off for Christmas, it’s usually not even that packed. For more on all the things happening at Disney this year, check out their official site. 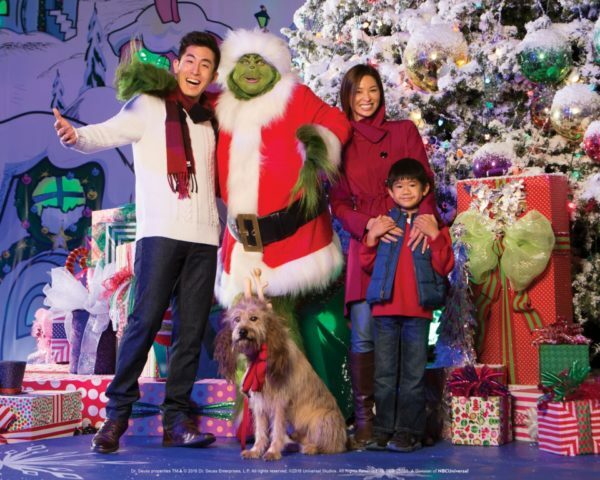 Up the road, Universal Studios Hollywood kicks off their holiday celebrations on November 17. Most of the holiday activity will be focused in Wizarding World, where Hogsmeade will transform for the season. New this year is nightly snowfall that will dust the village, where the buildings and shops will be decorated for the holidays. Nearby, the frog choir shows in Hogsmeade will switch to a holiday music program, while Three Broomsticks will get their holiday menu , and other holiday treats will be added this year. Hot Butterbeer is probably the most exciting of those! 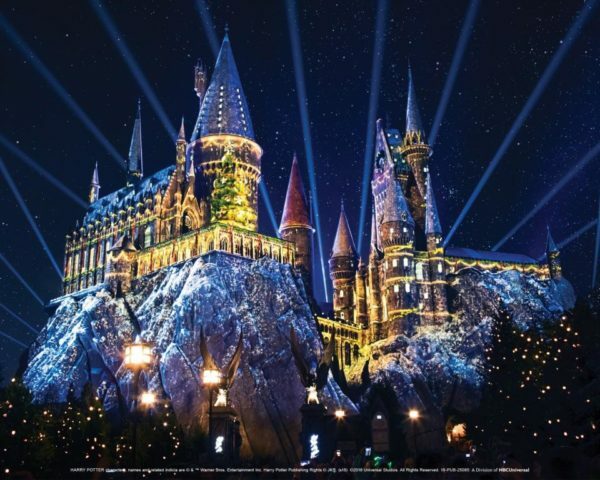 The biggest thing, which was added last year, is the Holiday light show projected onto Hogwarts Castle, which will be returning this year. Check out a video from Inside the Magic of last years opening of the show below. The park will also have some of their Grinchmas festivities going on this year too. The Dr. Seuss tree will return, with tree lighting ceremonies, Gricnh themed shows, and meet and greet opportunities with the Grinch. The days for Grinchmas start a little later from the Wizarding World Christmas events. You’ll also find holiday decorations through other parts of the park, including from the Minions over by Despicable Me Minion Mayhem. All the details of the different holiday attractions can be found on the Universal Studios Hollywood Holiday celebrations website. Holiday shows like the ice show, “Merry Christmas, Snoopy!” and “It’s the Merriest Christmas Show Ever, Charlie Brown” highlight the all ages side of the festival. Calico (aka Ghost Town) makes its annual transformation, with hand made Christmas gifts from local crafters and Christmas carolers taking over the streets. The Birdcage Theater starts up their performances of a Christmas Carol and Gift of the Magi, as well. Then as the sun goes down Ghost Town has its nightly tree lighting ceremony, and hourly snowfall and lightshows. Calico carolers will be in Ghost Town for the whole holiday season. It’s not in the press release, but I’m going to guess over in the Boardwalk side of the park we might see some new seasonal lighting on HangTime with their awesome lighting package. You can find more details about what’s happening at Merry Farm on the parks website. Last stop in Southern California is Six Flags Magic Mountain’s Holiday in the Park. Magic Mountain is adding two new themed areas for Holiday in the Park this year, and adding a “Taste of the Holidays” food festival to the lineup. The Metropolis section of the park will become Merry Lane, while the Screampunk area will transform into Gleampunk, which the park is calling a “A Steampunk Holiday experience”. In total the park will over 2 million Christmas lights throughout it, and include light shows in different sections. You’ll also find a Santa Claus VR overlay on New Revolution this Holiday season. 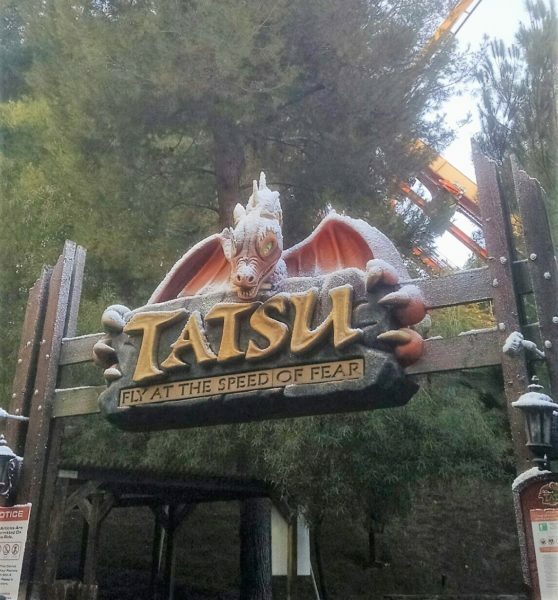 Snowy Tatsu sign is really my favorite decoration for the holidays. “With well over two million lights, snowfall around the park, new and exciting holiday entertainment, and many delicious one-of-a-kind seasonal treats, including our new Taste of the Holidays Food Festival, we are proud to present our biggest winter spectacular yet!” said Magic Mountain President Neal Thurman. Personally, I’m excited that one of the holiday treats available this year will be latkes (for non-Jewish folks out there, these are amazingly delicious fried potato pancakes traditionally served at Hanukkah). Each night of Holiday in the Park the holiday festivities will start with the first snowfall at 5PM. 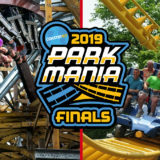 Holiday in the Park kicks off this weekend, November 17th, but it doesn’t run ever day during the holiday season, so check out the Six Flags Magic Mountain website for the exact dates, and for more on all the different themed areas of the event. Up in Northern California, Six Flags Discovery Kingdom has their own Holiday in the Park event starting beginning November 23. The Discovery Kingdom Holiday in the Park will also feature some new areas and events. First, “Merry Marketplace” will feature unique gifts from local artisans and craftspeople, as well as cookie decorating. Another new decorated area will be “Winter Wonderlane” decked out with lights and a giant snowman. The park will also have a new holiday themed Dolphin show going on. Discovery Kingdom will also be having a food festival on select days, featuring food from different parts of the world as well as specific holiday themed meals. You’ll also find hot chocolate, special holiday funnel cakes, and smore roasting stations in the park. 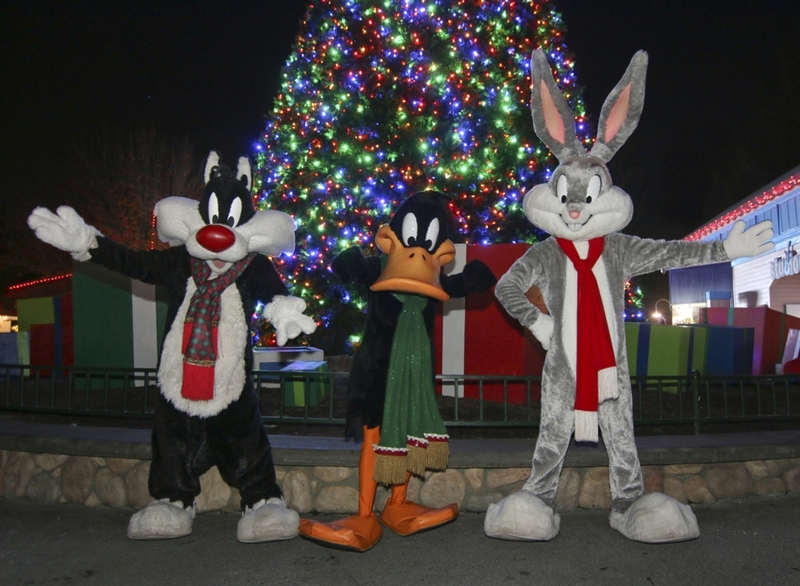 Six Flags Discovery Kingdom’s Holiday in the Park Dec 14, 2013 in Vallejo, California. 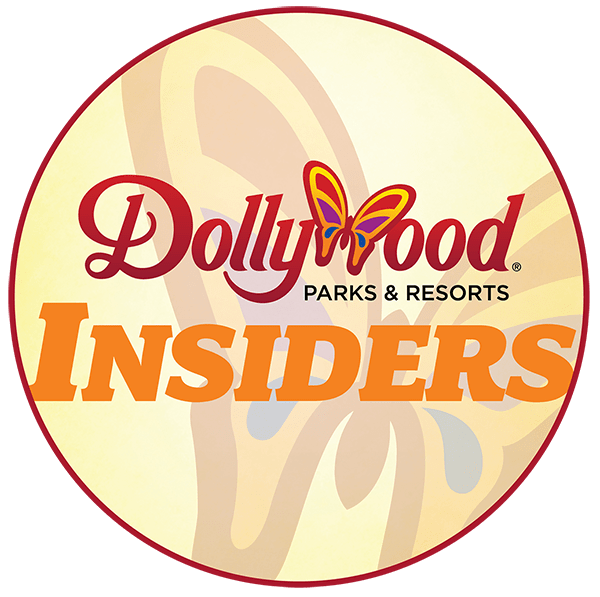 Like at Magic Mountain, Holiday in the Park isn’t daily during the whole holiday season, so check the Six Flags Discovery Kingdom website for details on dates, and for more on all the different areas and activities of Holiday in the Park. 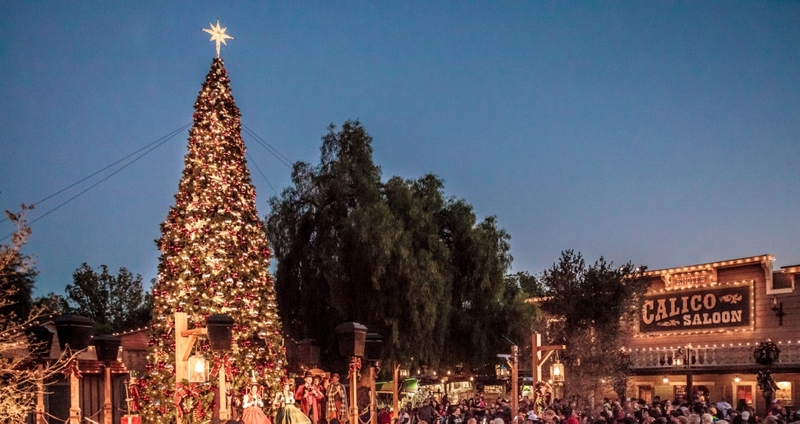 Finally, the last major park holiday event in California this winter is WinterFest at California’s Great America. 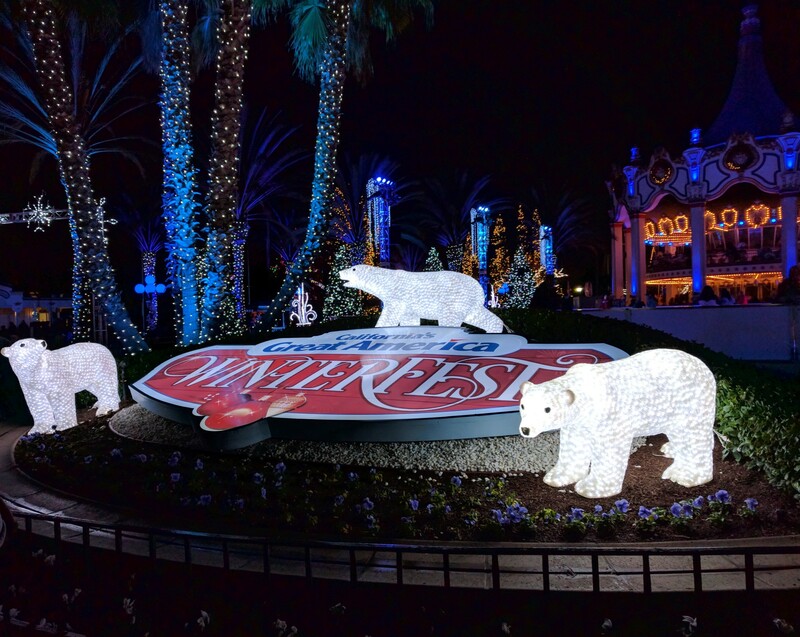 WinterFest events have been popping up at Cedar Fair parks a lot in the last few years, and this is the third season of WinterFest at Great America. This years even kicks off on November 23 and will run select nights through New Years Eve. This year the park is expanding the festival to include the entire park, compared to past years where only certain sections were open. That means two new themed areas, millions of more lights, and more attractions open for WinterFest. The new rides include RailBlazer, of course, and a holiday overlay on the Barney Oldfield Speedway antique cars. Barney Oldfield is being turned into “Twelve Days of Christmas”, and I think is the first Holiday overlay we’ve seen at CGAs WinterFest event. The main returning highlight of WinterFest is the conversion of the pool in front of Carousel Columbia into a skating rink. Also new this year, WinterFest will be open for New Years Eve until 12:30AM on New Years Day, with fireworks, and live bands throughout the night. You can now celebrate NYE at CGA! For more info on all of the live shows, rides, special holiday food options, holiday crafts markets, decorations, and the exact dates for WinterFest, check out the CGA WinterFest page. Are you planning to go to any of the West Coast park holiday events this year? What have been your favorites in the past. Let us know in the comments, and if you do go to any of them tell us what you thought!